PDP chief and former Jammu and Kashmir chief minister Mehbooba Mufti Tuesday said BJP president Amit Shah was "daydreaming" about abrogating Article 370 of the Constitution that provides special status to the state. Mufti said the Constitutional provision is a bridge between the people of the state and India. "I want to tell Amit Shah that you are daydreaming if you think you will abrogate Article 370," Mufti said while addressing a workers' meet in Handwara area of north Kashmir's Kupwara district. "If you break this bridge, then mainstream politicians like Mehbooba Mufti, who swear by the Constitution of India and the Constitution of Jammu and Kashmir, will also have to reconsider our future course of action because we have upheld the Indian flag and if you touch (Article) 370, then this flag will not remain in our hands or on our shoulders," she said. Article 370 grants special status to Jammu and Kashmir and limits Parliament's power to make laws concerning the state. 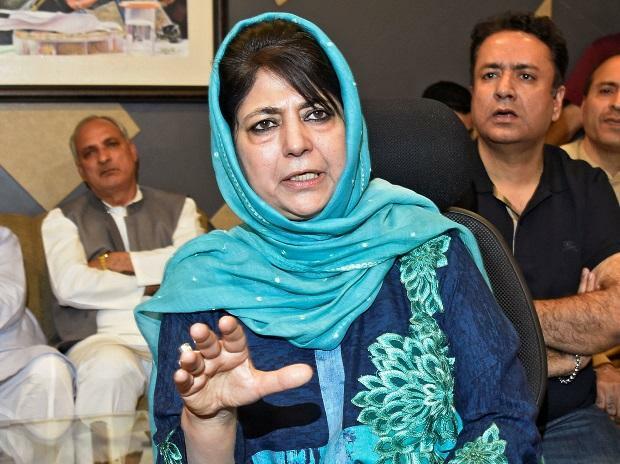 Mufti was reacting to the reported remarks of Shah underscoring the BJP's commitment to abrogate Articles 370 and 35-A. Asked about what the Narendra Modi government had done to meet the BJP's promise to repeal Articles 370 and 35-A, Shah had told a news channel on Sunday that his party remains firm on its commitment, but cited lack of majority in the Rajya Sabha as the reason behind not fulfilling it so far.